This super reliable, high capacity power bank charges in an outlet, in the car, or via the sun. Charge it up and it’ll hold the charge for a year. 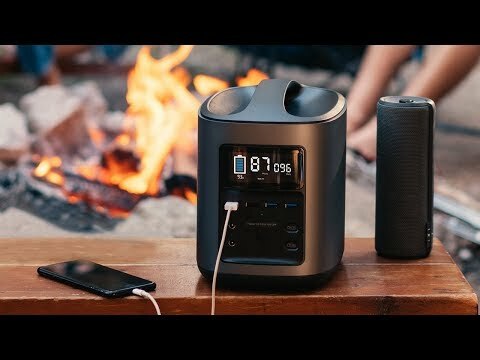 Its five-pound body is easy to take with you road tripping, tailgating, camping, or to keep handy around the house. It outputs enough energy for 100 hours of light, 10 hours of fridge time, or 20 hours of electric guitar anywhere you’d like. 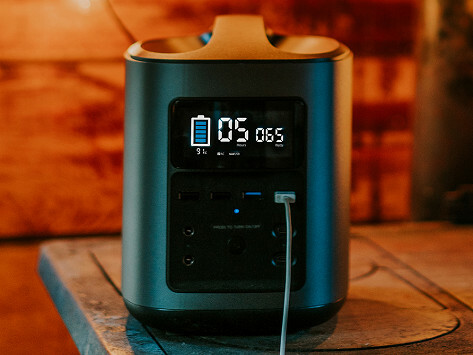 Dimensions: 9.8" x 6.3" x 8.1"
The RIVER mobile power station by EcoFlow is a high capacity (412Wh) power bank that can hold its charge for a year and output up to 500W. Just to give you a sense, that’s enough energy to power a mini fridge for 10 hours, give you 100 hours of light, or for a 20-hour guitar solo. This emergency kit essential works in standard outlets as well as in the car, and it’s solar-powered, too. Let it back you up in unexpected power outages. Or bring it along camping, on road trips, or tailgating. Or even use it in outlet deserts around the house. You can charge up to 11 devices at once using its outlets and ports. And it has a clear LED display that lets you know exactly how much battery you’ve got so you can plan ahead.